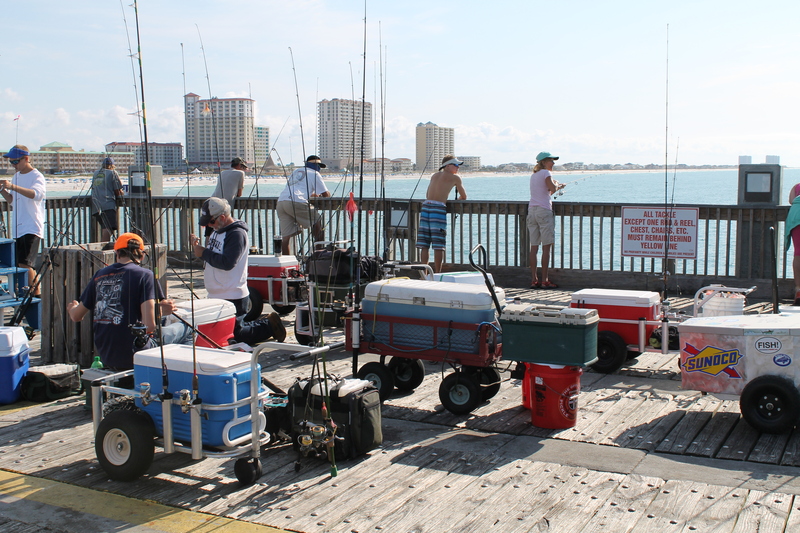 About 100 fishermen and women and kids were on the pier yesterday pulling in Spanish mackeral and an occasional red drum. 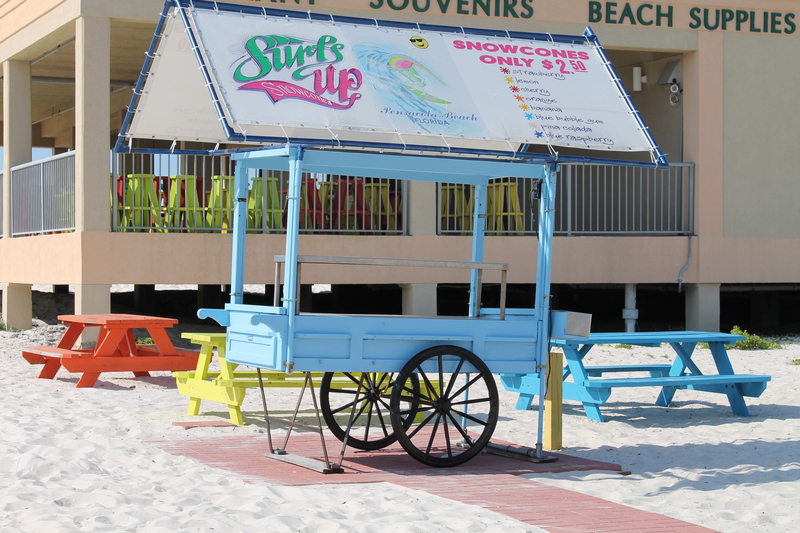 The weather was spectacular, the Gulf strong with a brisk southeasterly breeze prevailing. Small dolphins (or porpoises?) were also fishing near by, and Golden eagle rays sped by as dark forms under the pier. 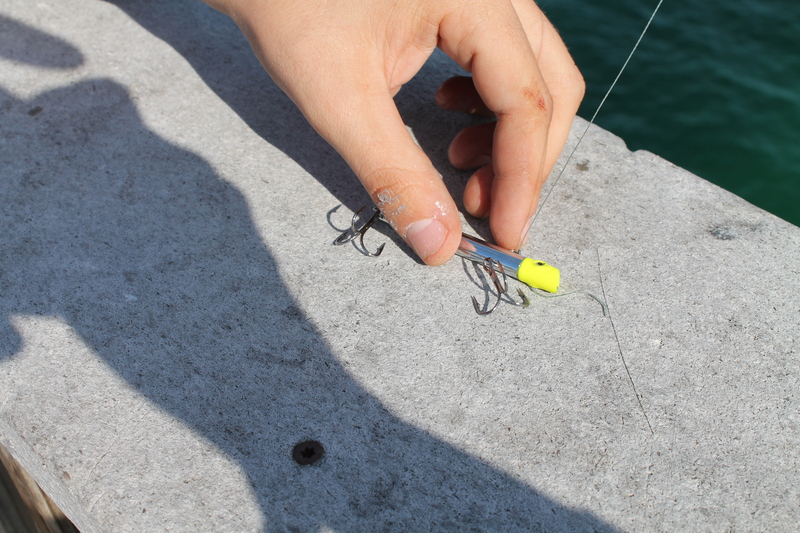 A variety of bait, tackle, and techniques could be observed. I learned that a small silver fish – thin fins – are used to attract King Mackerel. Most were using something called a “Gotcha!” lure that swims with the slightest tug on the line and shimmers like a menhaden. 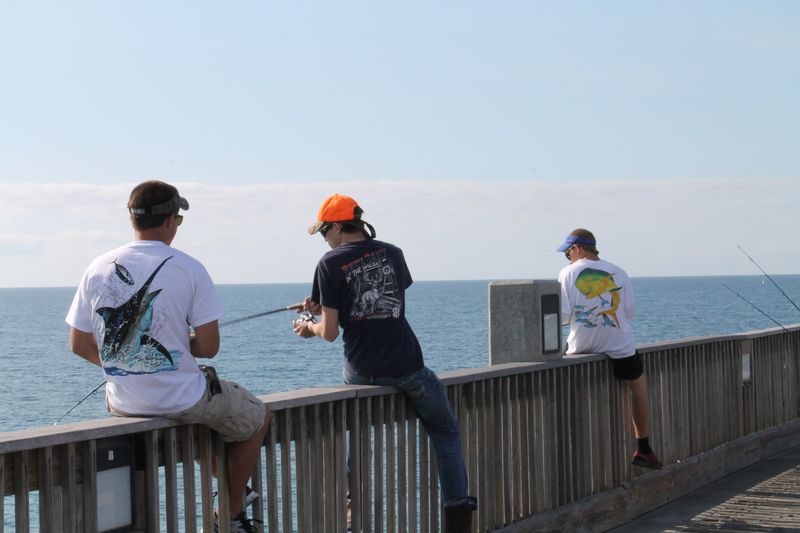 I enjoy watching young fishermen and certainly love the fisherman’s garb and paraphernalia! I am gathering images, ideas, and information for a new book that I am planning now, about a young boy who fishes, but who is fishing for his meals and not necessarily for sport. When the Gulf Oil Spill (BP Deep Water Horizon) occurred, the fishing was only catch and release for a year. I wondered what all the families did who fish every weekend for protein. Many do here…fish for food.